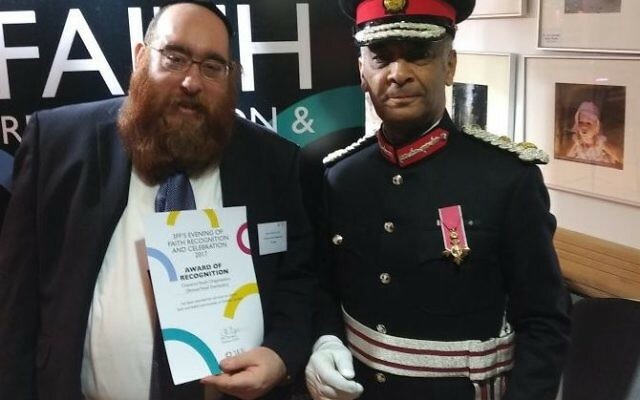 A Charedi youth organisation has won an interfaith award presented by 3 Faiths Forum in recognition of its work developing Orthodox youngsters. Chaverim, a charity founded 27 years ago, scooped the top award for the specialised services category at the Tuesday night event at the Royal Society of Medicine in London. 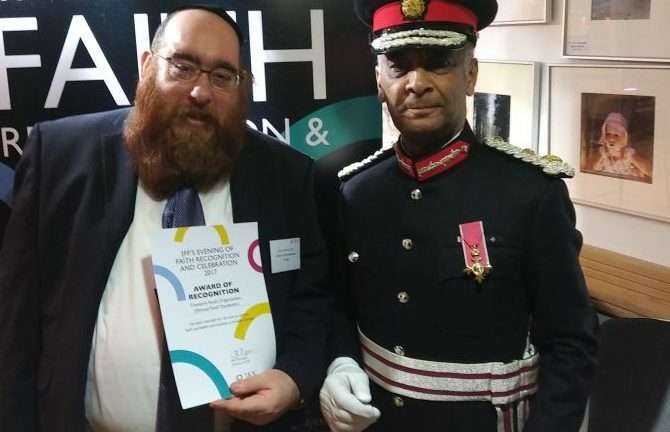 Chaverim founder Shmuel Yosef Davidsohn received the award from Lord Lieutenant of London Kenneth Olisa and Phil Champain, the director of the 3 Faith Forum. The charity is one of the biggest Charedi youth organisations in the country, providing mentoring, training, after-school activities and residential programmes. It is currently working with Jewish Lads and Girls Brigade (JLGB) to create a Charedi-style Duke of Edinburgh award.